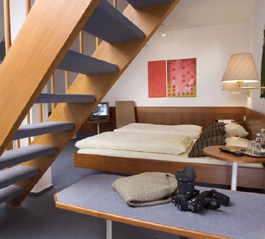 With 27 rooms and 41 beds, the Klaiber is a medium-size family hotel. All rooms with internet-connection for free. In the morning a rich breakfast buffet with selected, partly regional cold and hot dishes awaits you. Please note: All rates include a breakfast buffet, service and VAT. Subject to modifications.